Barracuda Studios is proud to announce the release of 4 all-new products in time for sale this weekend at Scale Model World 2012 in Telford, England. Three of these are in 1/48th scale, and the 4th is our first resin set in 1/72nd scale, which should make some modellers out there happy. We've had a lot of requests for resin bits in this scale. There will be more to follow in the next few months. For those of you not attending, we will start taking pre-orders on Saturday, November 10th. Shipping for these new sets will begin on the 16th. 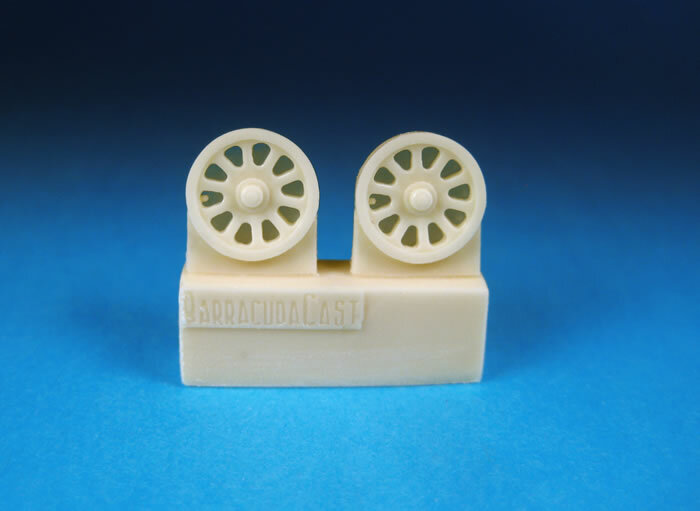 The new products are not yet up on the Barracuda Studios website, but will be shortly. 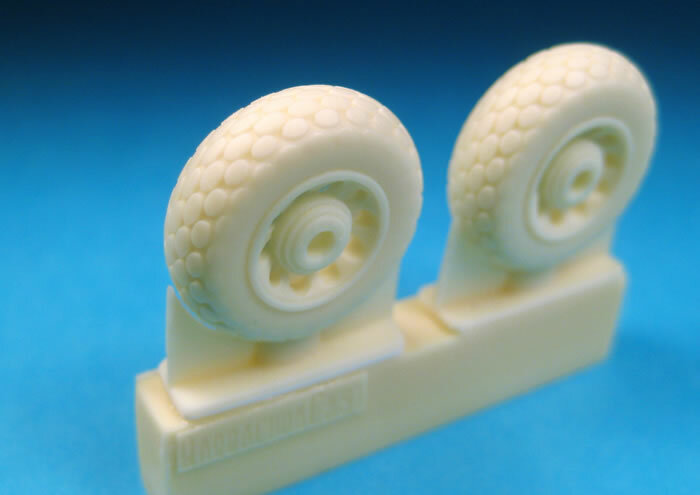 Two highly detailed and accurate mainwheels with oval pattern tires and see through hubs make up this set. 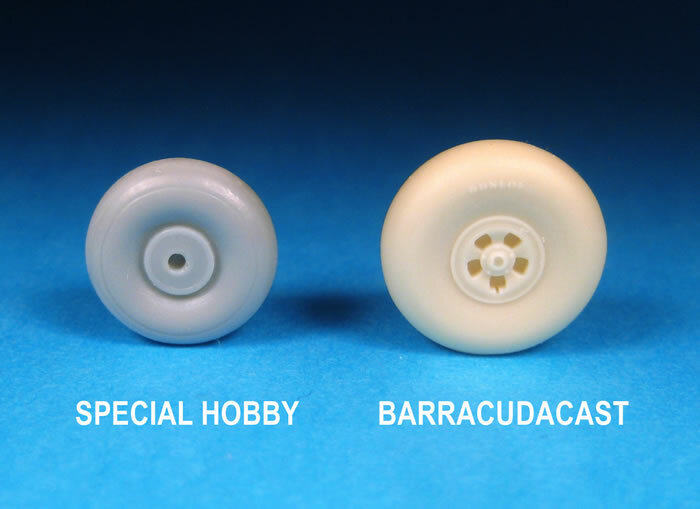 A quick and easy upgrade for A-36 and P-51A,B,C,D, and K model Mustangs. You can see daylight through real Mustang wheel hubs. Now you can recreate this in 1/48th scale. 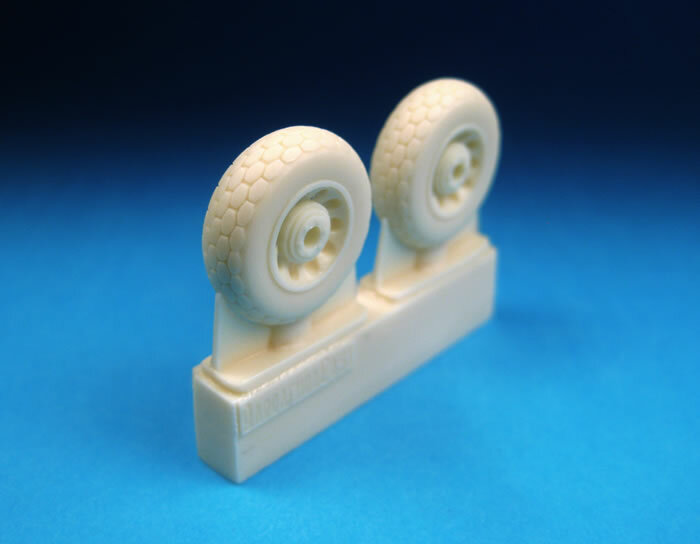 Accurate resin hexagonal tread pattern tires with see-through hubs replace the kit wheels in any 1:48 kit of the A-36 and P-51A,B,C,D and K variants. You can see daylight through real Mustang wheel hubs. Now you can recreate this in 1/48th scale. 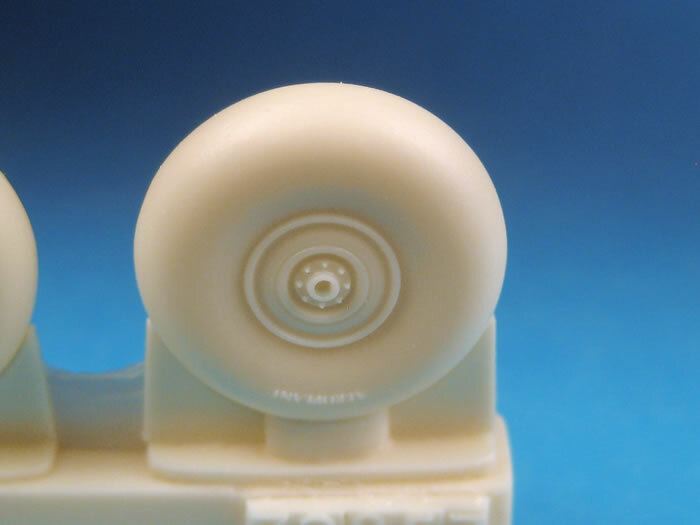 Accurate, detailed resin mainwheels replace undersized kit parts for the 1/72 Frog, Airfix and Special Hobby Blenheim kits of all marks. These wheels were designed from photos and dimensions taken off surviving mainwheels and include raised logos on both sides. 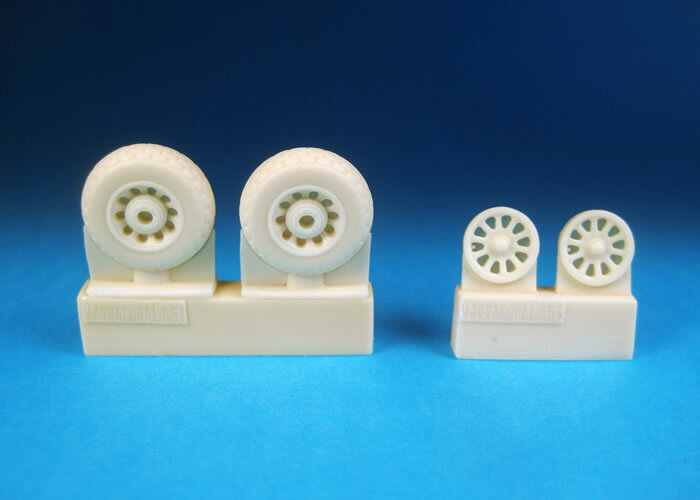 All 1/72 Blenheim kit wheels are both too small and completely wrong in proportion and detail. This simple upgrade will make short work of this problem. 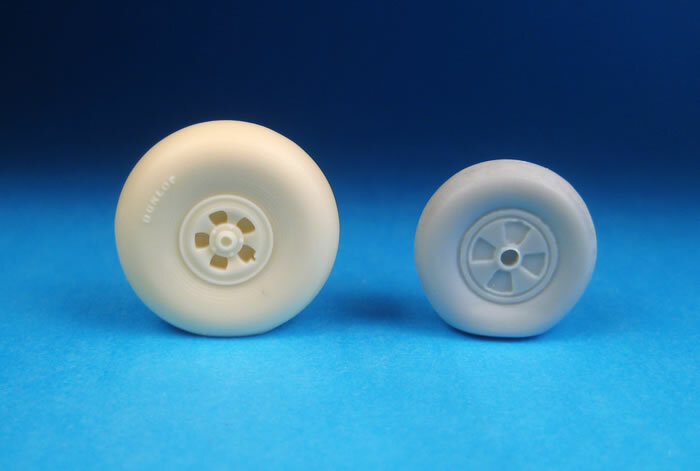 Accurate, detailed resin mainwheels replace undersized kit parts for the 1/48 scale Classic Airframes, Jaguar and vacform Blenheim kits of all marks. These wheels were designed from photos and dimensions taken off surviving mainwheels and include raised logos on both sides. 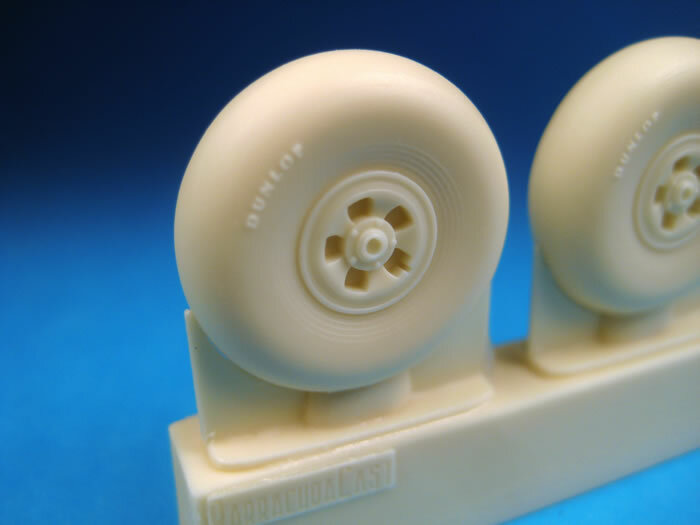 Classic Airframes later included correct diameter resin wheels, but they are still inaccurate. If you will be at Scale Model World this weekend, please stop by and introduce yourself. I'd like to meet you and talk with you. A second announcement will be made in the next day or so with another 4 new sets. The rest of the year promises to be a very busy time, with many new products inching towards the finish line.